Why Does Ukraine Need the Crimea? Two years after the Crimeans closed the door on their Ukrainian past the government in Kiev still can’t figure out why it needs the Crimea back, let it alone how it is going to get it back. The Crimea's secession from Ukraine on 16 March 2014 and the speedy reunification with Russia on 18 March 2014 can be seen as the continuing aftershocks from the Soviet Union’s unexpected implosion in 1991. The USSR dissolution, carried out by the mutual agreement of its founding republics, was overwhelmingly peaceful. The flip side was that, given the lack of proactive management of potential problems, many contentious areas in bilateral relations were glossed over and went on to become festering wounds within the newly independent states. 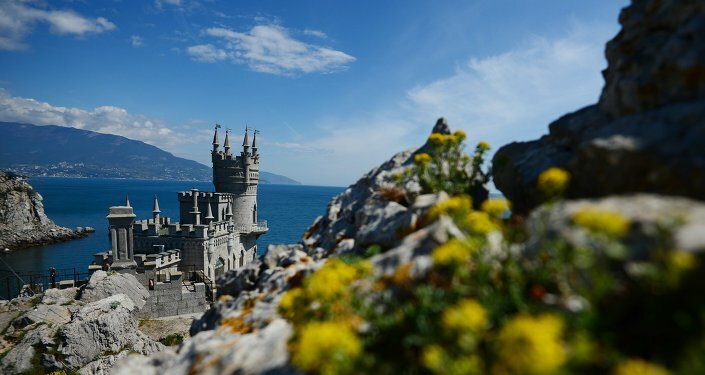 One such area was the Crimea, originally a Russian territory that had made its way into Ukraine in 1954 and was since governed by Ukraine until 2014. When Russia and Ukraine signed the Belovezhsky accords in 1991 ending the USSR they perhaps should have given more thought to the Crimean issue. But they did not, apparently concerned not to delay the process. Rumour has it that Ukrainian president Leonid Kravchuk tried at the time to raise the issue with Russia’s president Boris Yeltsin, but was dismissed. Perhaps it would be preposterous to accuse Ukraine of not having tried harder to return the Crimea to Russia at the time. But the least Ukraine could have done was to make arrangements for the Crimea that would have spared it the loss of the territory 23 years on. Although the Crimea’s recorded history reaches back centuries, it had never been politically unified until the Tatars settled there. They appeared in the Crimea in the 15th century, when hordes splintered from the Batu Ulus that had come to Europe from Mongolia by way of Central Asia invaded the peninsula. They subjugated the locals and set up a slave-trading semi-state that raided adjacent Russian and Polish lands, selling millions into slavery to Europe and the Middle East over the centuries. Soon enough the Tatars came under the suzerainty of the Ottoman Empire (now Turkey), keeping up their raiding practices until, following a series of Russo-Turkish wars, the Crimea was ceded to Russia in 1783 as part of a larger territory called by the Russians Taurida. In addition to the Crimea it comprised the adjacent territory north of the Black Sea. As the USSR was formed in 1922, the north of Taurida went to Ukraine and the Crimea remained in Russia. The Tatars, despite being a minority, were given their own Crimean republic. It was abolished in 1945 after Stalin had ordered the Tatars to be removed to Uzbekistan for alleged collaboration with the Nazi Germany during WWII. In 1954 the peninsula was transferred, without consulting its population, to the Ukrainian republic. The motives were mostly economic and geographical, as the Crimea’s main lines of communication with the mainland ran northward. The Crimea’s transfer to Ukraine did not affect everyday life much. By that time the worst of the Soviet-enforced Ukrainization had been over, with the difference between Russians and Ukrainians being often perceived only as a matter of perspective. Yet with the USSR gone, in 1991 the Crimea found itself in independent Ukraine, where it was soon to feel the full weight of forced Ukrainization. The Crimea’s drive for independence had been squashed by Kiev by 1995. An uneasy compromise was reached whereby the territory got the status of an autonomous republic, the only one in Ukraine, officially a unitary state. 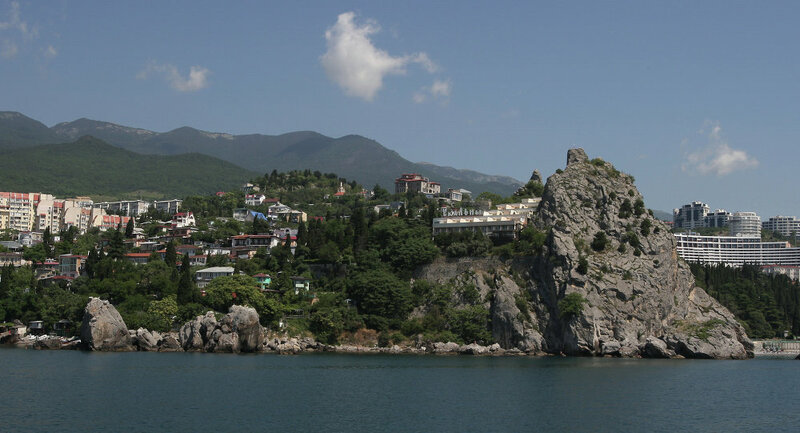 The Crimea got its own parliament that could decide on some local matters, but no concessions were made regarding cultural or language rights of the locals. Instead of trying to find a reasonable modus vivendi with the Crimea’s ethnic Russian population, Ukraine set about building the same monoethnic Ukrainian state there as elsewhere in the country. Russian was banned from official use and education and Russian heritage repressed. Ironically, pursued in an apparent effort to suppress separatism it became obvious that the strategy had backfired when the Ukrainian government was overthrown by the Maidan protesters in February 2014. As the elected president fled the country, the Crimean parliament, supported by street demonstrations, opposed the usurpers. Its first move was to seek greater autonomy within Ukraine, but when the coup leaders demanded obedience threatening to abolish the Crimean parliament and send in the troops, its stance hardened and the issue of independence was raised. A referendum held on 16 March 2014 settled the matter. The transition was largely peaceful as most of the Ukrainian military personnel on the peninsula sided with the Crimeans, to be subsequently absorbed into the Russian army. In retrospect it is clear the Crimean exit happened not a moment too soon. The new Kiev regime soon launched a brutal crackdown against the rebellious Donbass, plunging Ukraine into a civil war that the Crimea had been lucky to escape so narrowly. For Ukraine the Crimea had always been a problem. So when the republic seceded, it should have come as a relief to the new Ukrainian authorities that the matter was finally settled, one way or another. But ever since Ukraine has been nurturing a claim to the territory. That is not entirely surprising. After all, states don’t often take loss of territory in good part, especially where they feel humbled by the locals. Hence the burning desire for revenge. But Ukraine should ask itself some hard questions about whether it really needs the Crimea. Is there not a silver lining in being rid of a territory that Ukraine had never learned to embrace as its own? There are many reasons why Ukraine should not want the Crimea back. To begin with, and that is the most important reason, Ukraine has no historical claim or link to the Crimea apart from the relatively short period of their enforced unity from 1991 to 2014 (being together from 1954 can hardly count as that was largely a formality). There is no significant ethnic group in the Crimea that identifies with Ukraine; in fact, most of the population are hostile to the former mother-country, such that any re-attachment would have to happen against its wishes. That would certainly exacerbate divisions within Ukraine, making the country even more unstable. In the Crimea Ukraine would be acquiring a major separatist hotbed, which would force it to expend major cost and effort to pacify it, all with no assured result. It would also not help Ukraine’s progress towards a monoethnic state it is building. Internationally it would undermine Ukraine's security posture, perpetuating the conflict with Russia and deepening the European security crisis. And last but not least, the Crimea would represent a financial burden that Ukraine can ill-afford, given the near-bankrupt state of its economy. 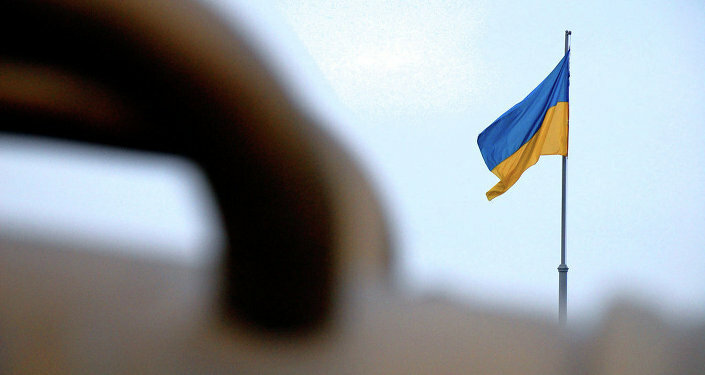 For Ukraine the forfeiture of the Crimea is all about loss of prestige and hurt national pride more than anything else. Its return is important as a matter of principle, with heavy undertones of exacting punishment against those who took it away, ie the Crimeans and Russia. It’s not about protecting ethnic kin or correcting a historical injustice, but scoring a point over Russia and the treacherous locals. At bottom, Ukraine is just being jealous of losing a chunk of territory to which it was never entitled, but which it could not keep through sheer hubris and ineptitude. It’s fair to say that Ukraine’s Crimean debacle is entirely of its own making, one it had full chance to prevent had it acted more reasonably and humanely towards its Crimean subjects. Ukraine’s claim that is seeks to protect the Tatars in the Crimea is hardly serious. It is more the case of Kiev using the Tatar issue to bolster its claim to the Crimea. The leaders of the Mejlis (the Tatar ethnic organization recognized by Kiev) are for their part trying to capitalize on Ukraine’s loss of the Crimea to force it to grant political recognition to a fully-fledged Tatar entity within Ukraine, which Ukraine has been reluctant to do so far. The absolute majority of the Tatars continue living in the Crimea and have accepted its Russian status. Then there may be other reasons for Ukraine to want to get back the Crimea, such as regaining its natural resources, economic potential or its value as a military asset. But these don’t seem to be valid ones. First, the Crimea lacks any natural resources of note (except for possible offshore oil deposits that still require exploration). Its economy is rudimentary. The largest industry is tourism, locally significant but woefully short of international standards. Overall, under Ukrainian rule the Crimea had essentially remained stuck in its Soviet past, stunted in its development and living as it was on handouts from the central government. On balance it should be clear that Ukraine would gain more from abandoning its claim to the Crimea that upholding it. This is not so only because such a claim is wholly unrealistic, but also because regaining the Crimea would be positively harmful to Ukraine. The only reason why Ukraine keeps claiming the peninsula seems to be a misguided desire for self-aggrandizement dicated by the logic of building a great monoethnic Ukrainian state (Ukrainians like the fact that their country is still the largest one by territory in Europe outside of Russia). The Kiev authorities have not apparently drawn any lessons from its mishandling of the Crimea. If the democratic process in Ukraine is allowed to work, the voters will soon put into office a president and parliament with a sense of reality and smart enough not to wage war against their own people or brand their former fellow citizens traitors. And while Russia is not in any real danger of losing the Crimea to Ukraine as it is, it might not be averse to some sort of deal just to give Ukraine a way out of the bad situation without a loss of face. That may, in particular, involve an economic component whereby Russia could agree to contribute to Ukraine’s economic rebuilding in exchange for Kiev’s abandoning its claims to the Crimea. There are no good reasons why Ukraine should need the Crimea back. Its acquisition of the peninsula was ill-gotten, and was never meant to last under the best of circumstances. Kiev made things worse by trying to quash the Crimean yearnings for self-rule and ultimately paid the price. It should not keep repeating the same mistakes all over again.